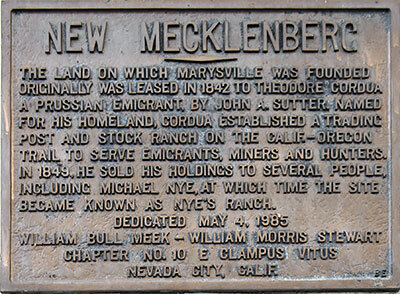 The land on which Marysville was founded originally was leased in 1842 to Theodore Cordua a Prussian emigrant, by John A. Sutter. 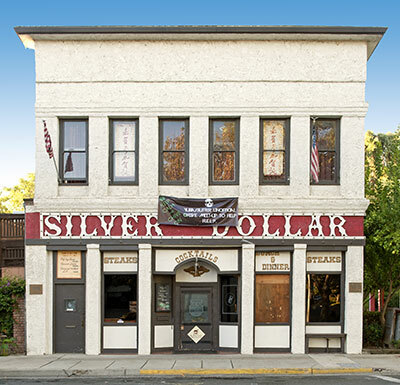 Named for his homeland, Cordua established a trading post and stock ranch on the Calif.-Oregon Trail to serve emigrants, miners and hunters. In 1849, he sold his holdings to several people, including Michael Nye, at which time the site became known as Nye's Ranch. A second marker commemorates Lord Sholto Douglas.